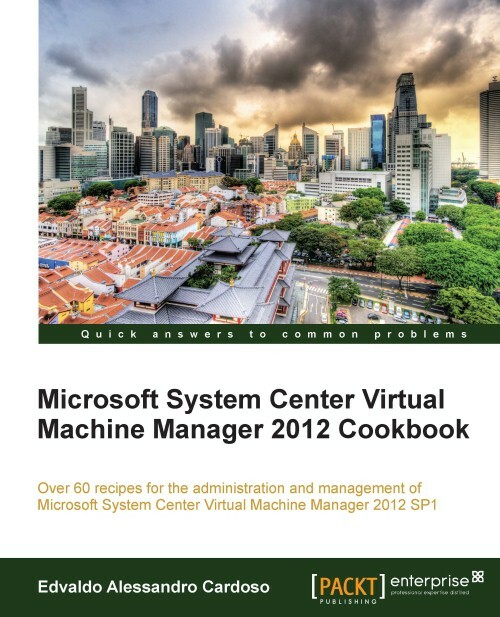 I was lucky enough to be asked to join the technical review panel for the Microsoft System Center Virtual Machine Manager 2012 Cookbook by Edvaldo Alessandro Cardoso and published by Packt. This entry was posted in System Center Virtual Machine Manager and tagged Edvaldo Alessandro Cardoso, Hyper-V, Microsoft, Packt, System Center Virtual Machine Manager, Virtual machine on April 30, 2013 by richardstk. Unfortunately, I wasn’t able to resolve the problem without data loss, but these are the steps I followed to get DPM working again. Firstly, go to Disk Management by opening Server Manager, then expand Storage. 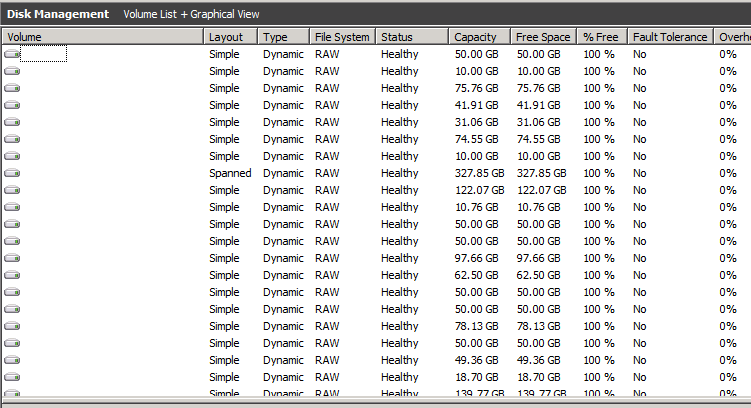 I saw a large number of RAW volumes with 100% free space. I had to delete each of these volumes, by right-clicking and choosing delete. Once you’ve deleted all the RAW volumes, open the DPM Management Shell and run DPMSync – ReAllocateReplica. This recreates the volumes for each item that’s protected by DPM where the volume is missing. Open the DPM Management Console and start an consistency check of all data sources. This ensures DPM has an up to date copy of all protected items and can resume backups. This entry was posted in System Center Data Protection Manager and tagged Backup, DPM, System Center Data Protection Manager on April 30, 2013 by richardstk. 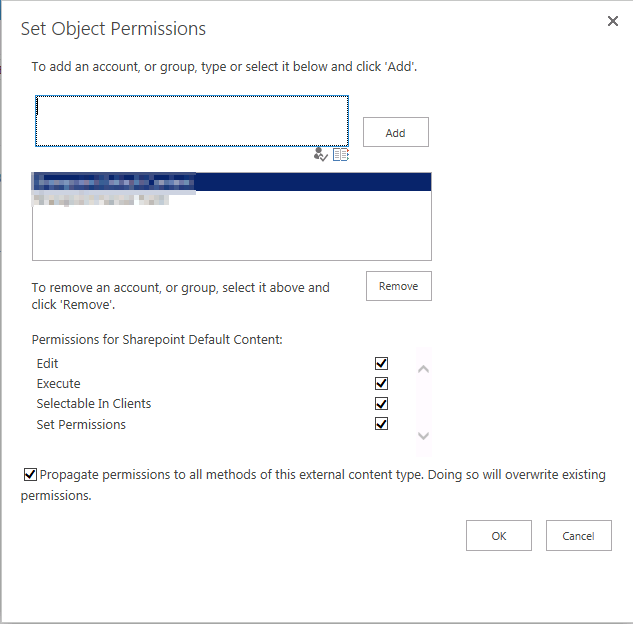 In this post I’ll describe how you can import user photos from Active Directory (AD) into SharePoint 2013 and add them to SharePoint user profiles. Firstly you’ll need to get your users’ photos into AD. I use AD Photo Edit from Cjwdev. The bulk edition is fantastic as it has command line support. 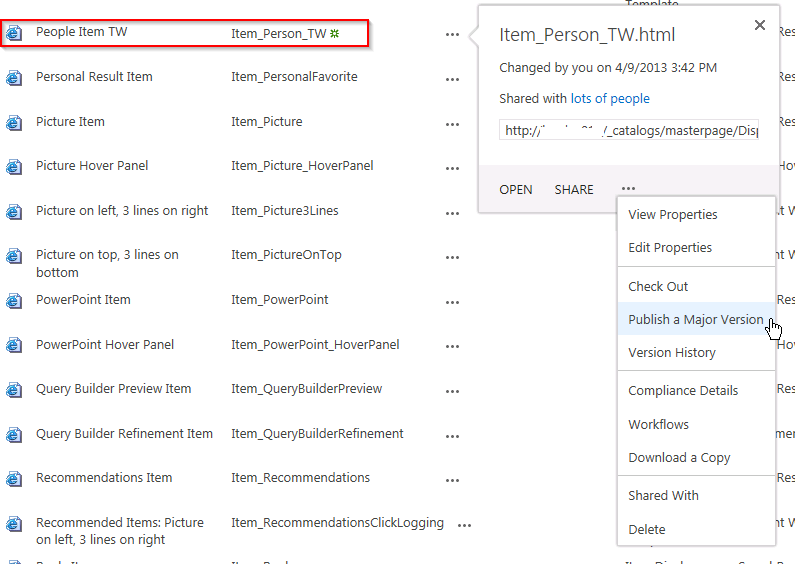 Once the user photos are in AD you need to update the SharePoint user picture property . Open Central Administration and navigate to your User Profile Synchronization Service Application. 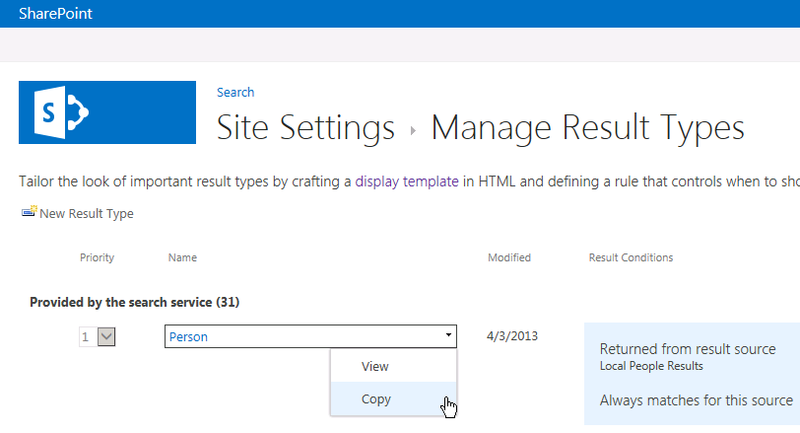 Click on Manage User Properties. Scroll down to the Picture property and choose Edit from the drop down menu. Scroll down to the Add New Mapping section. Choose your AD data connection, select the thumbnailPhoto attribute and click Add, followed by OK to save the change. 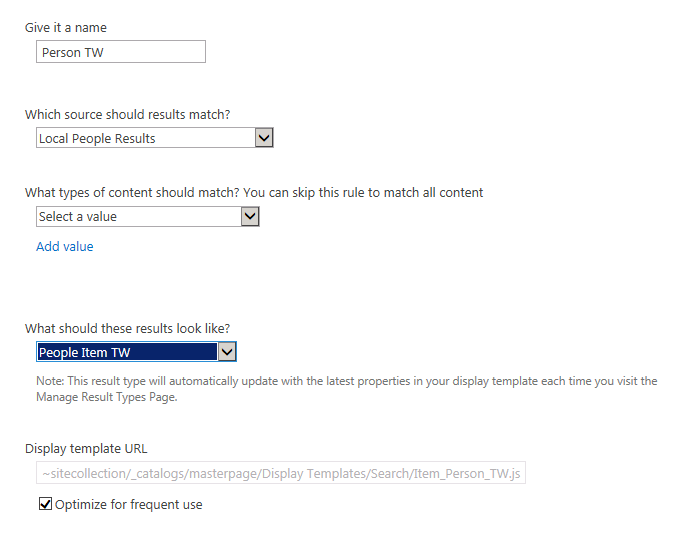 This maps the SharePoint picture property to a user’s photo attribute in AD. Run a full user profile synchronization. The command could take a while to run. When it’s finished click on Manage User Profiles and search for a user and click on Edit My Profile. The picture has been added to the profiles. This entry was posted in SharePoint and tagged Active Directory, Microsoft SharePoint, SharePoint, SharePoint 2013, User profile on April 12, 2013 by richardstk. 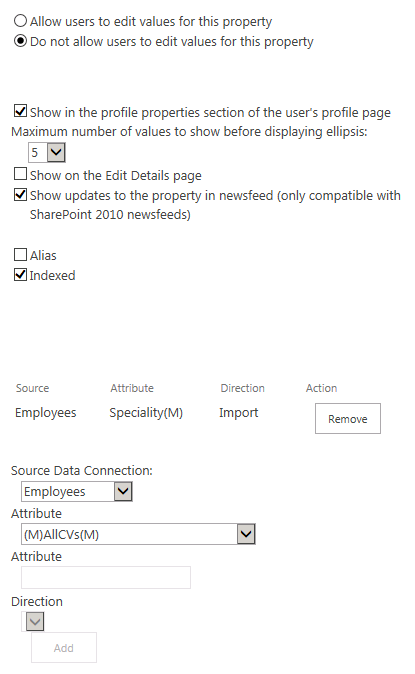 Following on from the four part series Extend SharePoint 2013 People Search Using Business Connectivity Services I had a requirement to update multi-value user properties using BCS. If you haven’t read the posts in the series I highly recommend that you do as I’m only going to cover the changes I had to make in order to import multi-value properties. For this example I’ve added a column to my SQL Server table called Speciality and updated the stored procedure to return the values in this column. 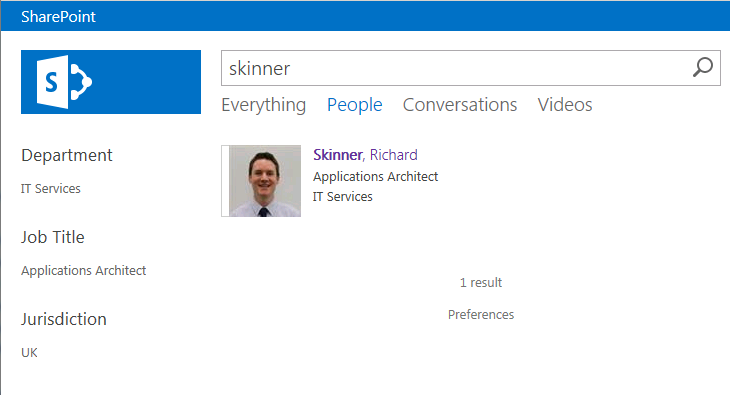 In the screen shot above I’ve added three specialties for myself, SharePoint, Hyper-V and SQL Server. This has created multiple rows, an additional row for each specialty each with the same email address. The email address is important as this will be used by a filter within the external content type to return multiple values for each user. 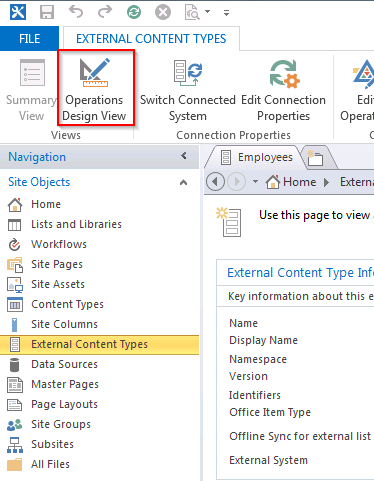 Next, in SharePoint Designer open the external content type that references the stored procedure and click on Operations Design View in the ribbon. 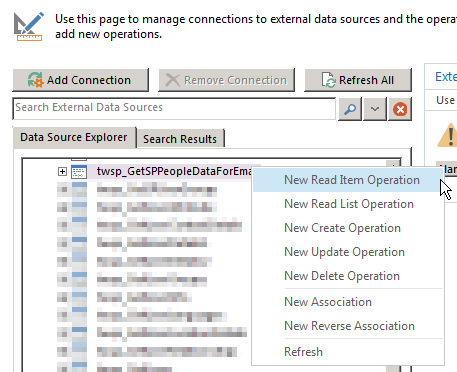 In Data Source Explorer find the stored procedure under Routines, right click on it and choose New Read List Operation. Click Next and on the Input Parameters screen click to add a Filter. Create the filter, in my case on the email field and click Ok.
On the Return Parameter screen click on Email, then tick Map to Identifier. Finish the wizard and save changes to your external content type. From Central Administration open your User Profile Synchronization Service and click on Configure Synchronization Connections. Use the drop down to edit your external content type connection. 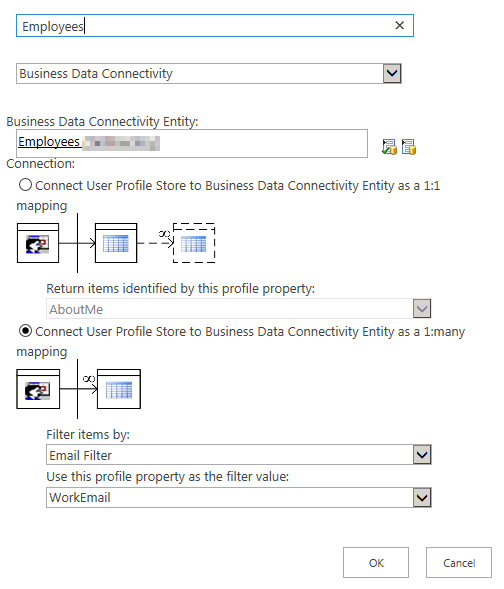 You can now choose a 1:many mapping, filter using the email filter against the WorkEmail user profile property. To create a multi-value user open the User Profile Synchronization Service and click on Mange User Properties. 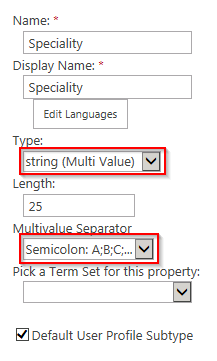 Click on New Property, select the property type as string (Multi Value) and choose the multi value separator you’d like to use. 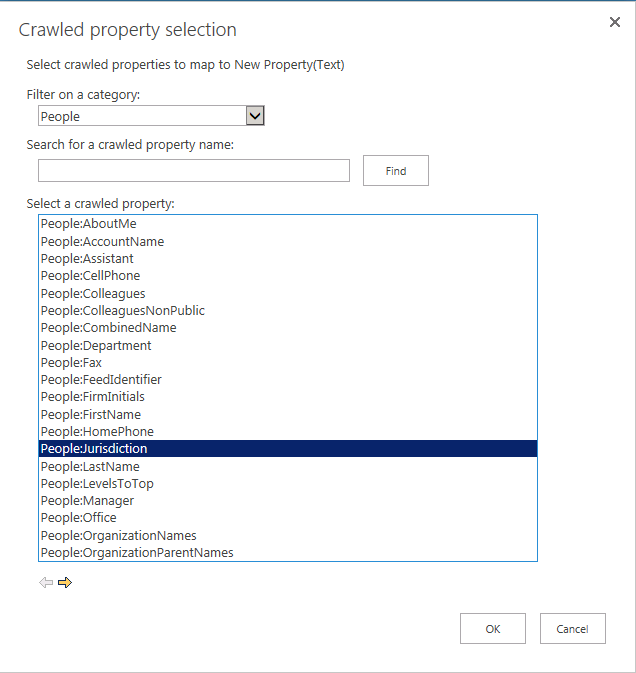 Map the new property to the correct attribute from your BCS data connection and click Ok.
Run a full profile synchronization, then click on Manage User Profiles to search for a user and check the properties have been populated. 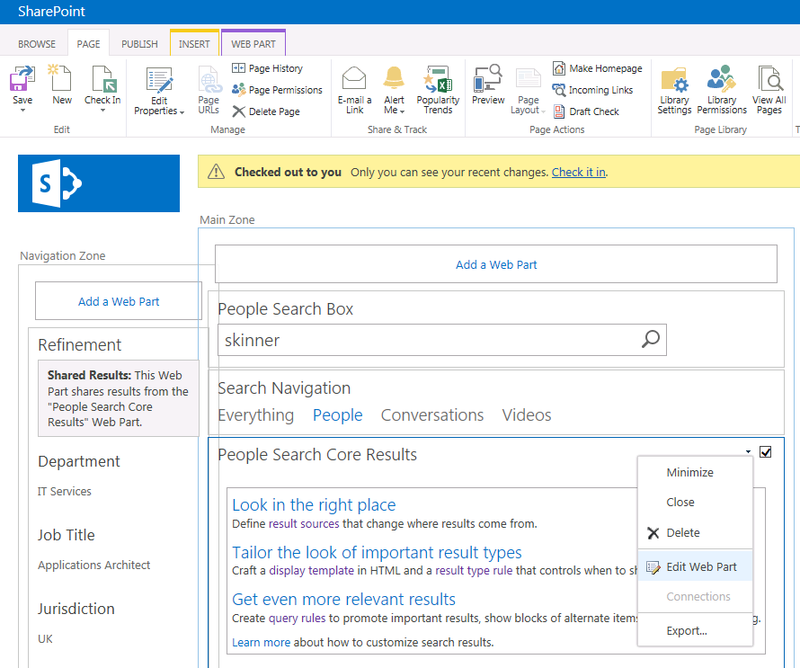 This entry was posted in SharePoint and tagged Central Administration, Microsoft SharePoint, Microsoft SQL Server, SharePoint, SharePoint Designer, SQL Server on April 12, 2013 by richardstk. 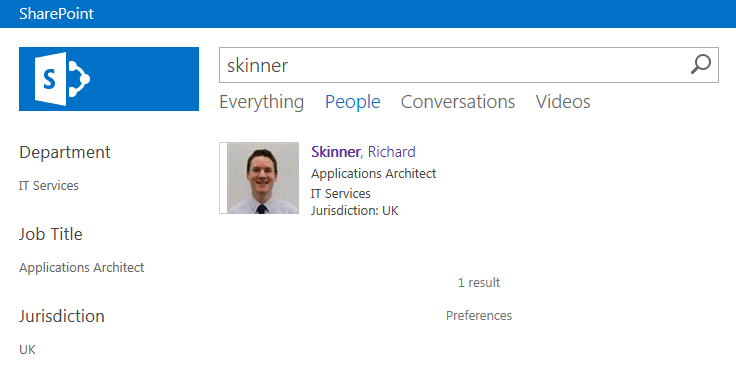 In this post I’ll describe the process of extending the Active Directory user profiles with information from SQL Server and how to display this data in SharePoint people search and My Sites. Open Central Administration -> Application Management -> Manage service applications and open your User Profile Service application. 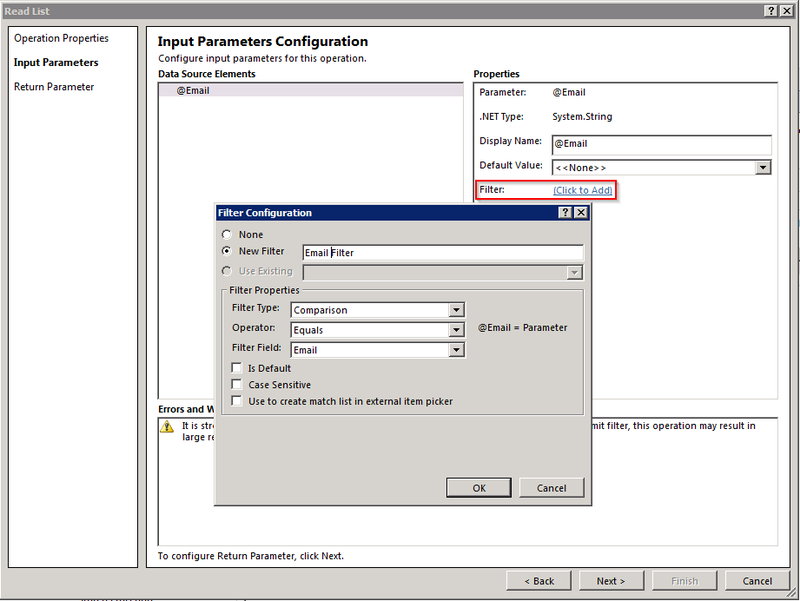 Click on Configure Synchronization Connections. On the Synchronization Connections page click on Create New Connection. 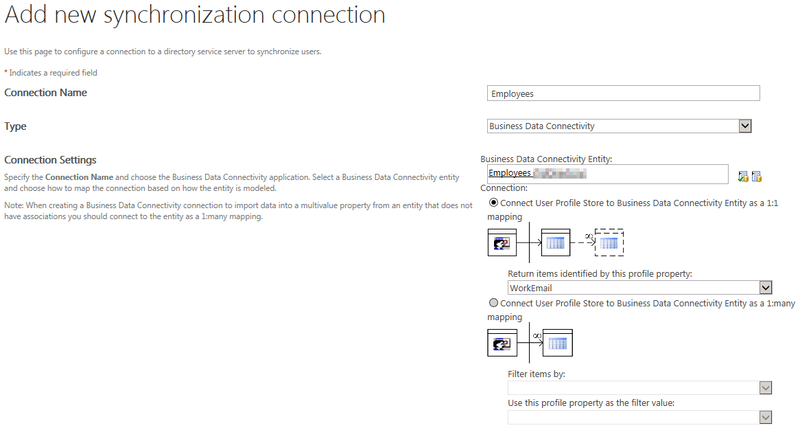 Enter a name for the connection, change the connection type to Business Data Connectivity. 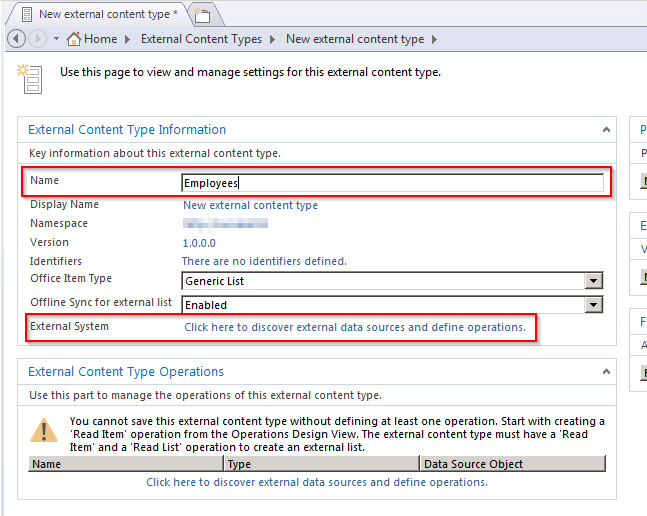 In the Business Data Connectivity Entity section, select your External Content Type. Choose to connect using a 1:1 mapping and return items based on the WorkEmail property. 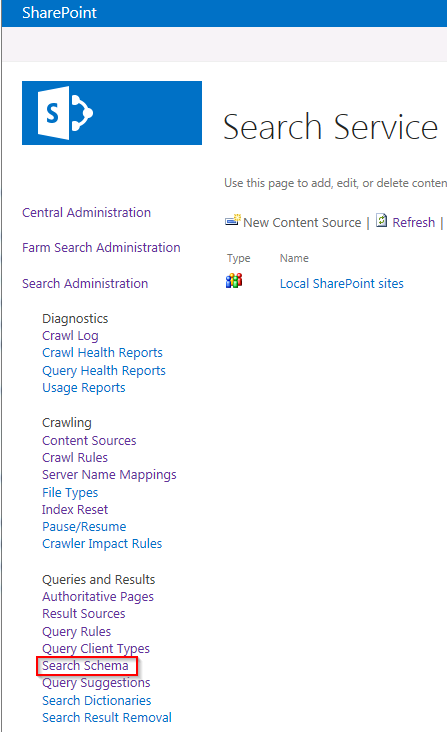 Click Ok.
We now need to map the fields returned by the connection to SQL Server to fields in user profiles. 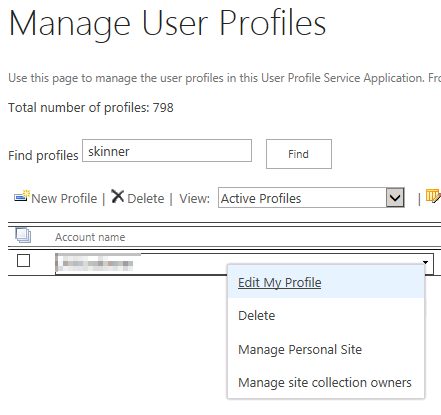 Return to your User Profile Service application in Central Administration and click on Manage User Properties. 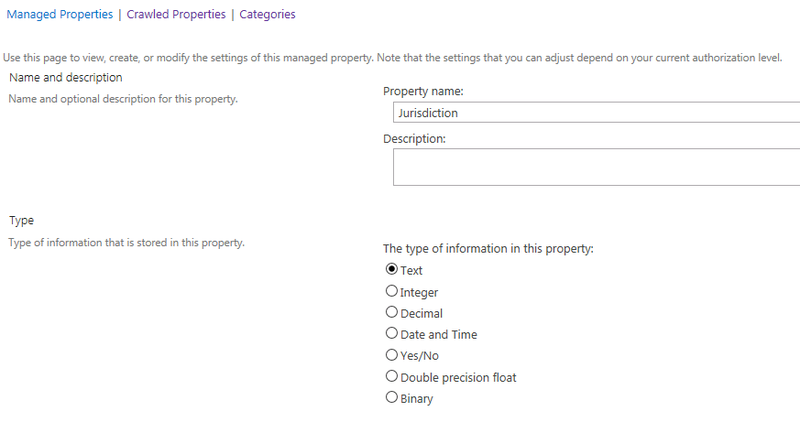 On the Manage User Properties screen click on New Property. I’m going to show the process to create a property called jurisdiction, which will be mapped to the jurisdiction field in SQL Server. The process needs to be repeated for all fields you wish to add to the user profile. Enter a name, display name and change the data type and field length to match the field you’re mapping. Change the Policy Setting to optional, and the Default Privacy Setting to Everyone. 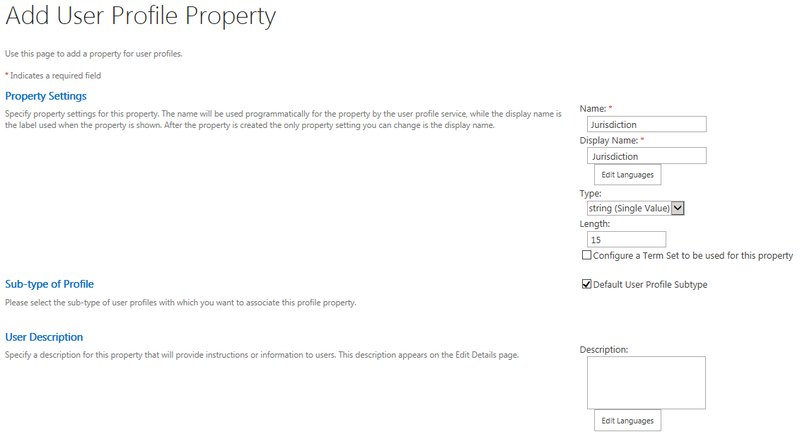 This allows the field to be displayed in the profile properties section of the user’s profile. I don’t want users to be able to change the jurisdiction value, so update the Edit Settings as appropriate. In order to display the value on the user’s profile page tick the box under Display Settings. Ensure the Indexed box is ticked to make the property searchable. 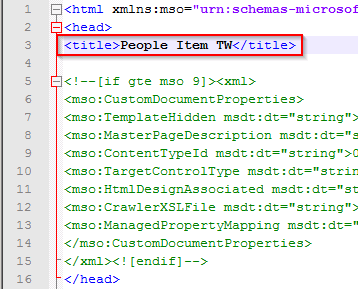 You now need to map the user profile property to the field in the External Content Type. 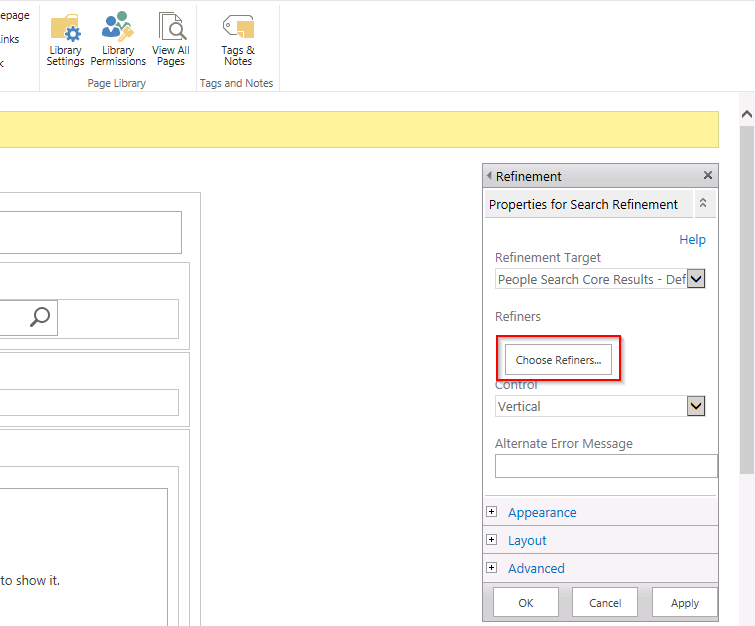 Choose the Employees data source and the appropriate field to map to the user property. Leave the direction as import and click Add, followed by Ok to save the new property. 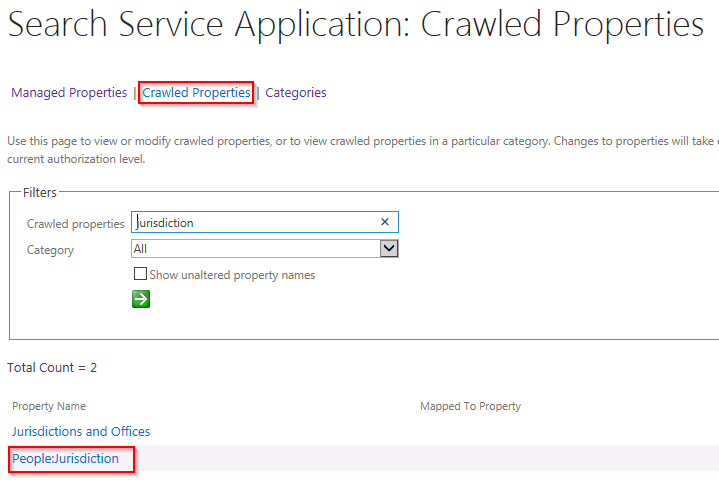 Repeat this process for any other properties you wish to map to user profile properties. Once you’ve mapped all the user properties run a full user profile synchronization process from Start Profile Synchronization. Once the profile synchronization has finished, click on Manage User Profiles, then search for a user that should have been populated with data. If you scroll through the user profile you should see your custom user profile properties have been populated. Visit a user’s My Site and click on SHOW MORE under the user’s details to see your custom user profile properties. 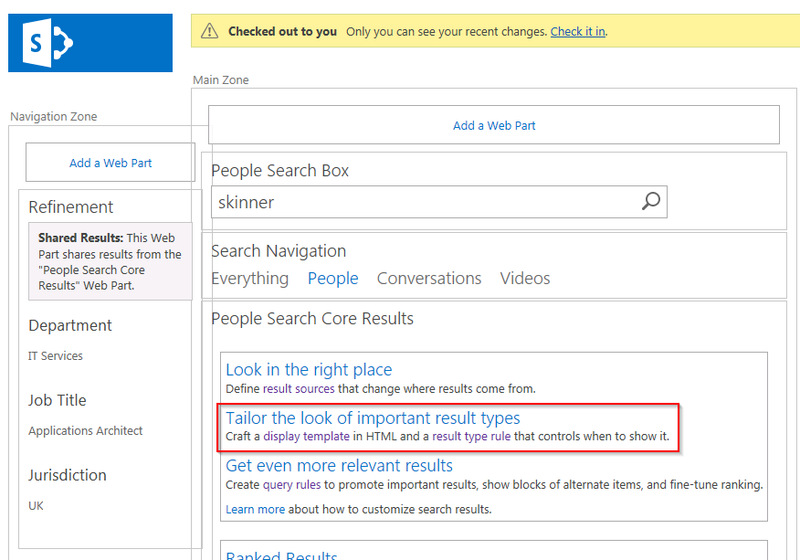 In the final part of this series I’ll show you how to make the custom properties visible within SharePoint Search. 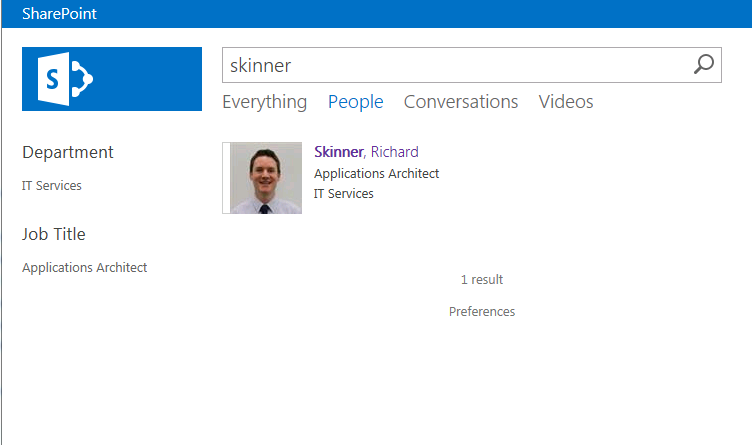 This entry was posted in SharePoint and tagged Active Directory, Enterprise search, Microsoft SharePoint, Microsoft SQL Server, SharePoint, SharePoint 2013, SQL Server on April 9, 2013 by richardstk. 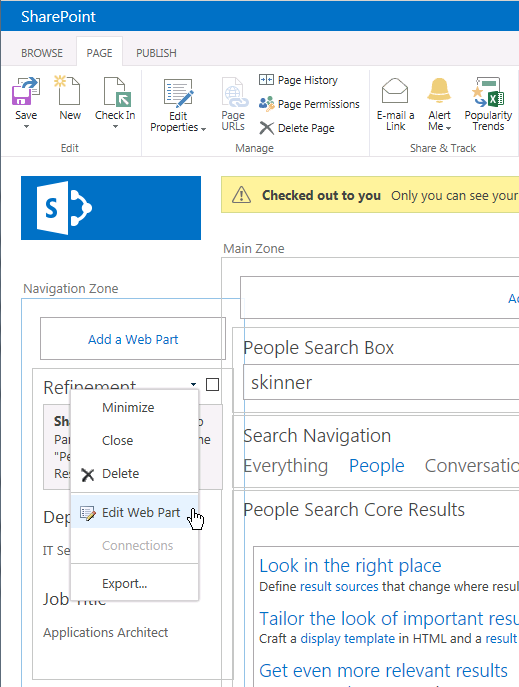 In this post I’ll describe the process of connecting SharePoint 2013 to the SQL Server table we created in part 1. The first step is to create a Windows domain user account, which will be used to connect to SQL Server and execute the stored procedure we created to return the user data. Once you’ve created the user account, grant it read permission to your test database and execute permission on the stored procedure. You will also need to grant the same permissions to the user account you will use to create the External Content Type later. 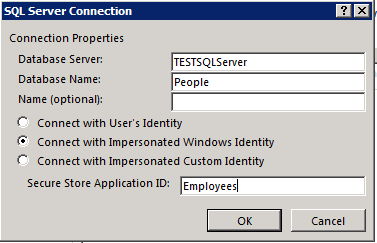 Now we will use the Secure Store to configure the user credentials Business Connectivity Services (BCS) will use to connect to SQL Server. 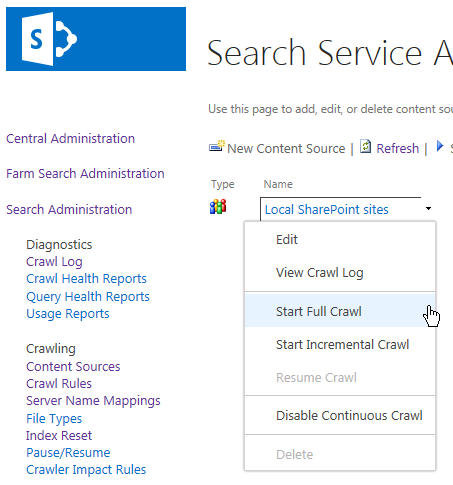 Open Central Administration on your SharePoint server and navigate to Application Management -> Manage service applications -> Secure Store Service. Click on New in Manage Target Applications. 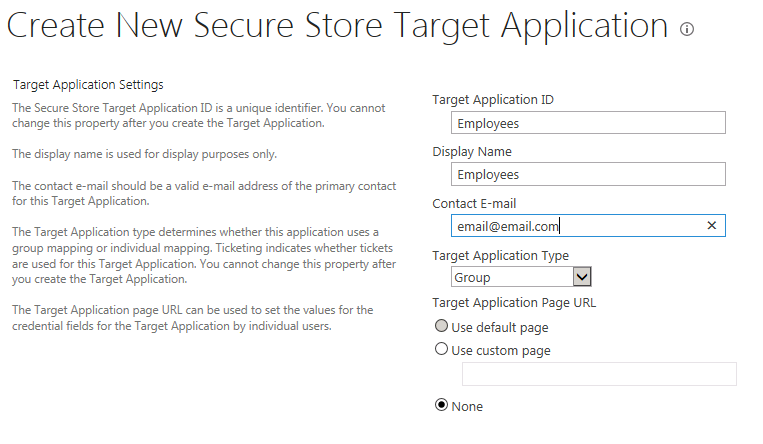 Enter a target application ID, display name and change the target application type to Group. Leave the fields in the next screen as they are and click next. 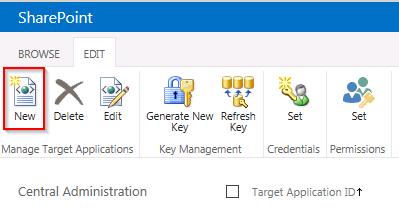 Enter the administrators of this application into Target Application Administrators and in Members, enter the AD user group, or AD user that you want to be able to use the saved credentials to connect to SQL Server. 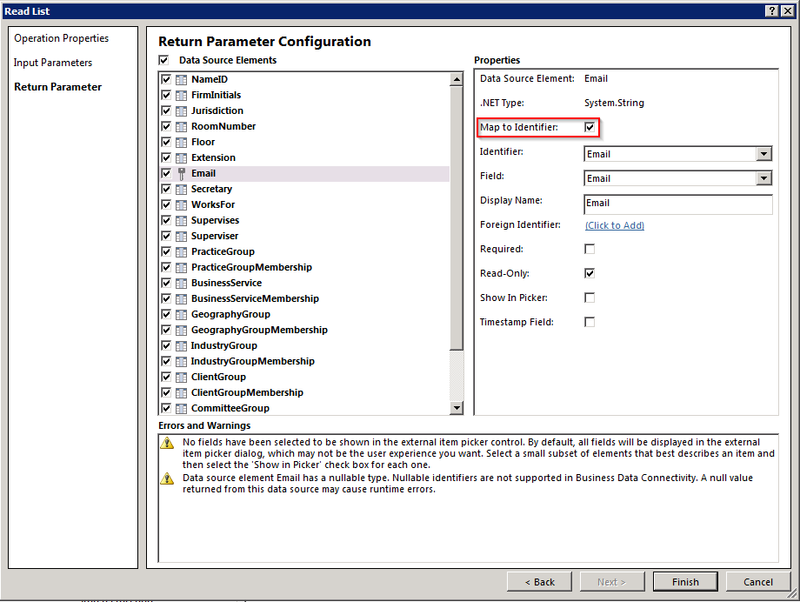 You now need to configure the AD user account details for this application which BCS will use to connect to SQL Server. From the Secure Store Service, click on the drop down arrow next to your application and click Set Credentials. Enter the AD user account details you configured within SQL Server with permission to execute the stored procedure to return user data. 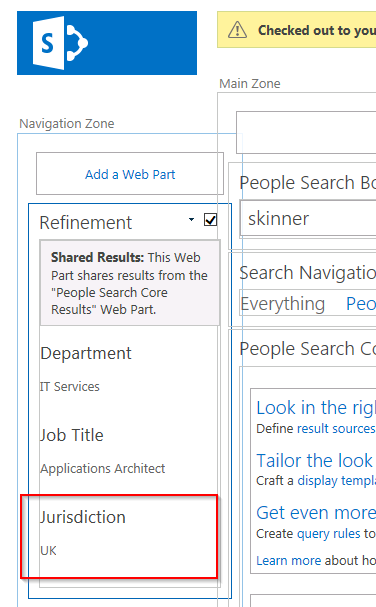 You now need to open SharePoint Designer, connect to your SharePoint site and click on External Content Types and create a new External Content Type. 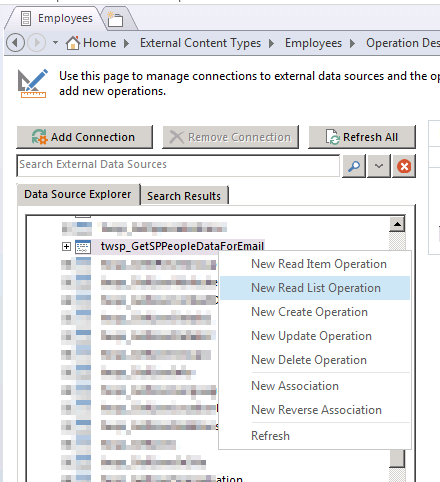 Enter a Name for the External Content Type and click on “Click here to discover external data sources and define operations. 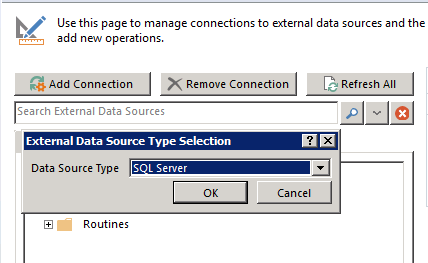 Click Add Connection and choose SQL Server as the data source type. 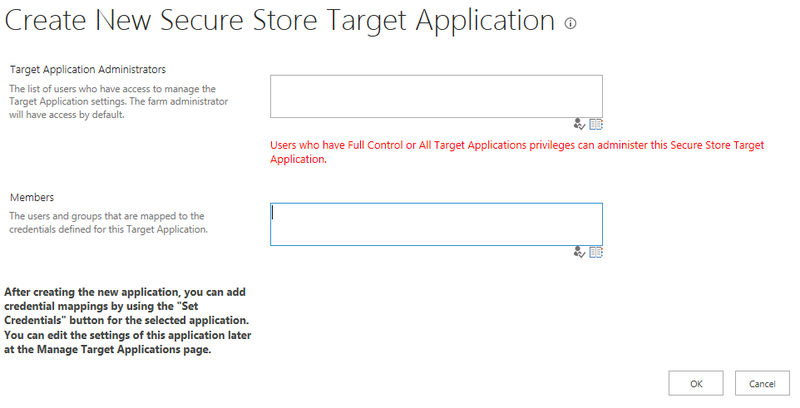 Enter your SQL Server name, database name and choose “Connect with Impersonated Windows Identity” Enter the name of the application you created in the Secure Store Service. 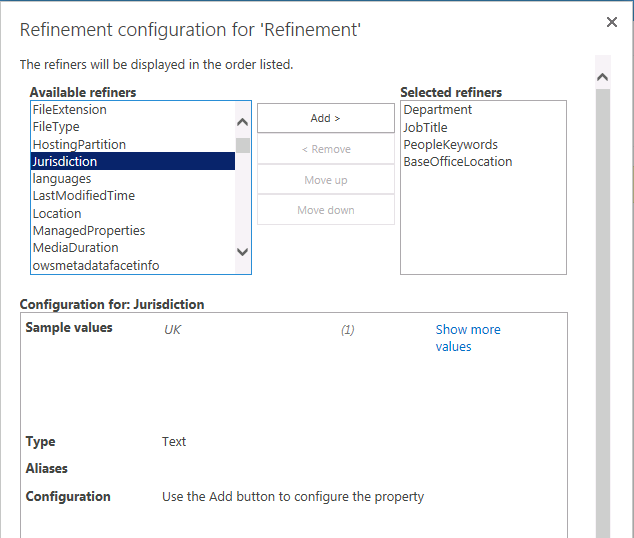 Expand Routines under your datasource, right-click on the stored procedure you created to return user data and choose New Read Item Operation. Leave the first screen as it is and click Next. On the next screen ensure Map to Identifier is ticked and click Next. Ensure Email is mapped to Email and click Finish. Close and save the External Content Type. 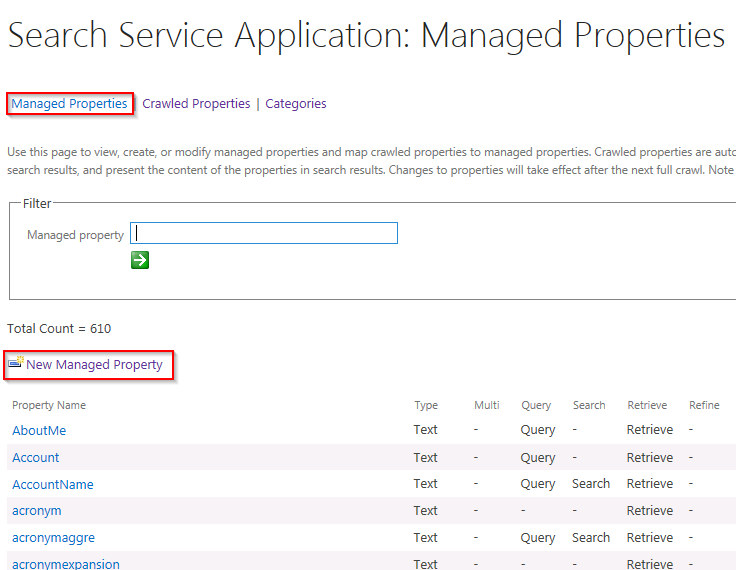 Navigate to Central Administration, then Application Management -> Manage service applications -> Business Data Connectivity Service. Click on the drop down next to your External Content Type. Add the default content access account for your Search Service Application, set the permissions and click Ok. 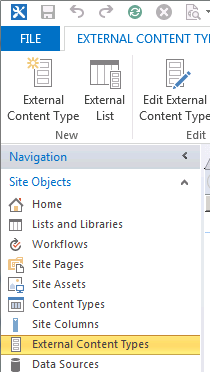 In part three of the series I’ll show you how to extend the Active Directory user profiles with information from SQL Server and how to display this data in SharePoint My Sites. 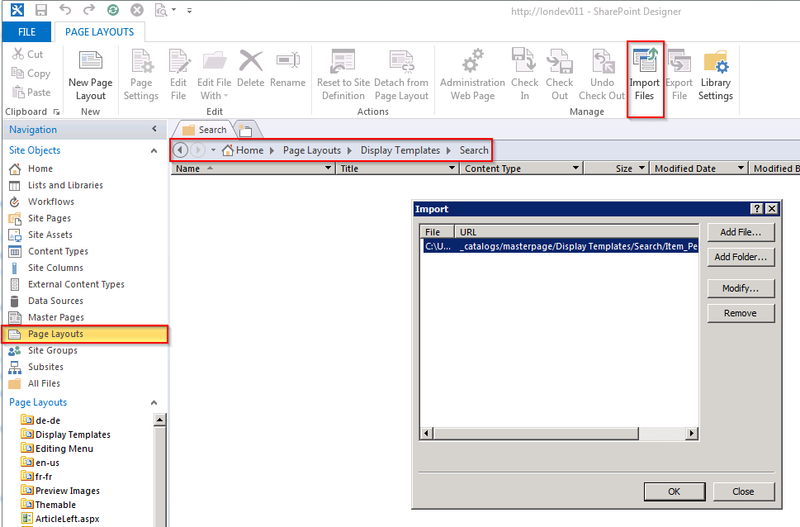 This entry was posted in SharePoint and tagged Microsoft SharePoint, Microsoft SQL Server, SharePoint, SharePoint 2013 on April 8, 2013 by richardstk.